THURSDAY, Feb. 25, 2016 (HealthDay News) -- Zika virus may harm a fetus to a greater degree than previously suggested, potentially causing a range of life-threatening birth defects, a new report says. Dangerous amounts of fluid buildup caused swelling and damage to different parts of its body, a condition called hydrops fetalis, said the researchers, from Brazil and Yale University. They reported their findings in the Feb. 25 issue of the journal PLOS Neglected Tropical Diseases. It's not certain that Zika was the cause of these abnormalities, and experts say many questions remain unanswered. 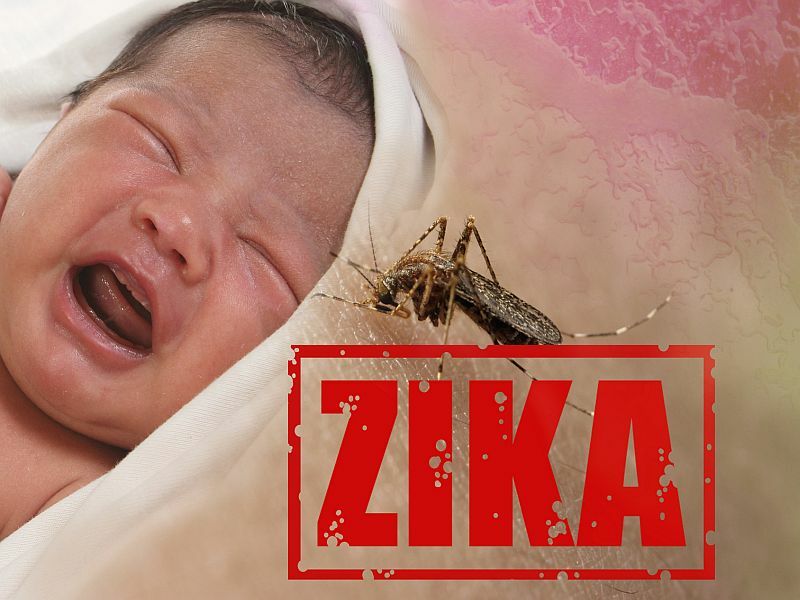 Among them are 14 Brazilian and American researchers who said in the Feb. 24 Annals of Internal Medicine that the connection between the virus and microcephaly "remains presumptive." So far, the evidence is circumstantial, they wrote. Anecdotal reports of Zika causing birth defects other than microcephaly have surfaced, but "this is the first clearly documented case with an obvious link to Zika infection that has been well-documented in a peer-reviewed journal," Stephen Higgs, director of the Biosecurity Research Institute at Kansas State University, said of the PLOS study. The case study shows that the U.S. Centers for Disease Control and Prevention was on the right track when it recommended that any pregnant woman who's been to a Zika-affected region be tested for the virus, said Dr. Veronique Tache, an assistant professor of maternal-fetal medicine at the University of California, Davis. "It's a devastating finding, but it goes along with what these early onset congenital infections can do to the fetus," Tache said. Zika's impact on fetal development tracks closely to cytomegalovirus (CMV), another fetal infection that can cause a wide array of birth defects and health problems, Tache said. The effect that measles can have on an unborn baby might serve as another "good model for understanding the full trajectory of fetal Zika infection," said Dr. Amesh Adalja, a senior associate at the UPMC Center for Health Security in Baltimore. "Congenital infections of all sorts, because they infect a rapidly developing fetus, can have myriad effects on many organ systems as they form," Adalja said. "What is needed is to truly understand the role that Zika may have in causing abnormal development of not just the brain, but all organ systems in gestating fetuses." The Brazilian mother-to-be was having a normal pregnancy during her first trimester, last summer. That changed abruptly during her 18th week of pregnancy, when an ultrasound examination discovered the fetus' weight was well below normal. The woman did not report any symptoms commonly associated with Zika -- such as a rash, fever or body aches -- prior to or during the early stages of her pregnancy, the report authors said. Any pregnant woman who's visited a Zika-infected region should tell her doctor and have her blood tested for the virus, hopefully from two to 12 weeks after potential exposure, Tache said. "To date, there's no antiviral [drug] that works on the Zika virus, so we're kind of caught between a rock and a hard place," Tache said. "We can make the diagnosis that there's been a Zika infection, but getting infected doesn't necessarily mean that you'll have abnormalities. Not everyone who gets the Zika virus will have an infected fetus."